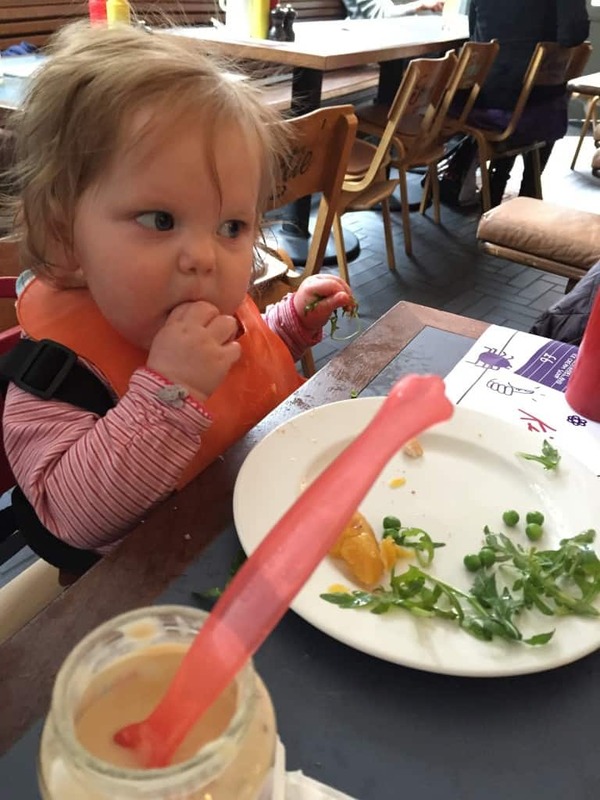 Have you heard of Baby Led Weaning? Baby Led Weaning (BLW) is a finger-foods based approach to starting solids that originated in the UK. 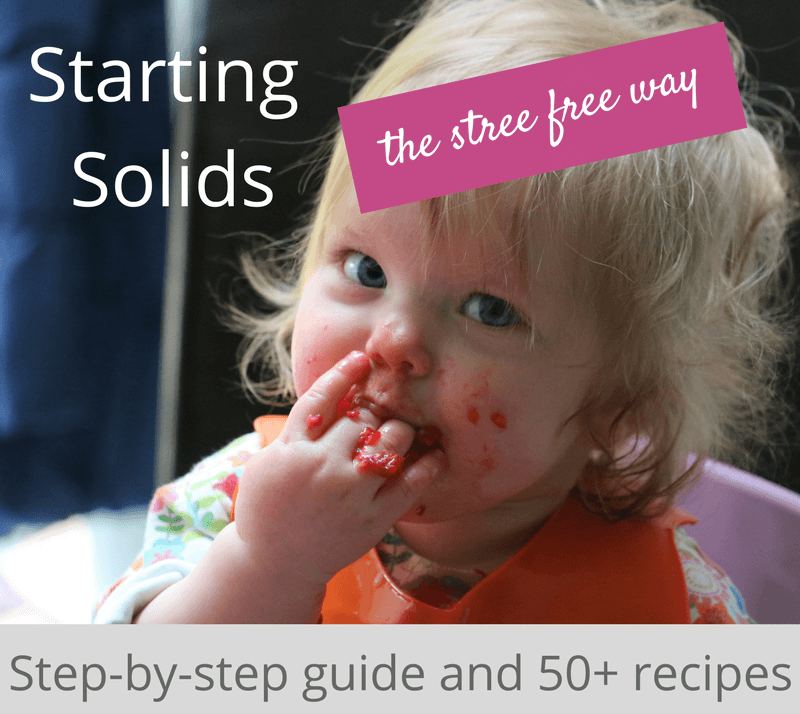 For the last few years, BLW has been making waves on the internet, with more and more parents experimenting with this novel way to introduce their baby to solid foods. 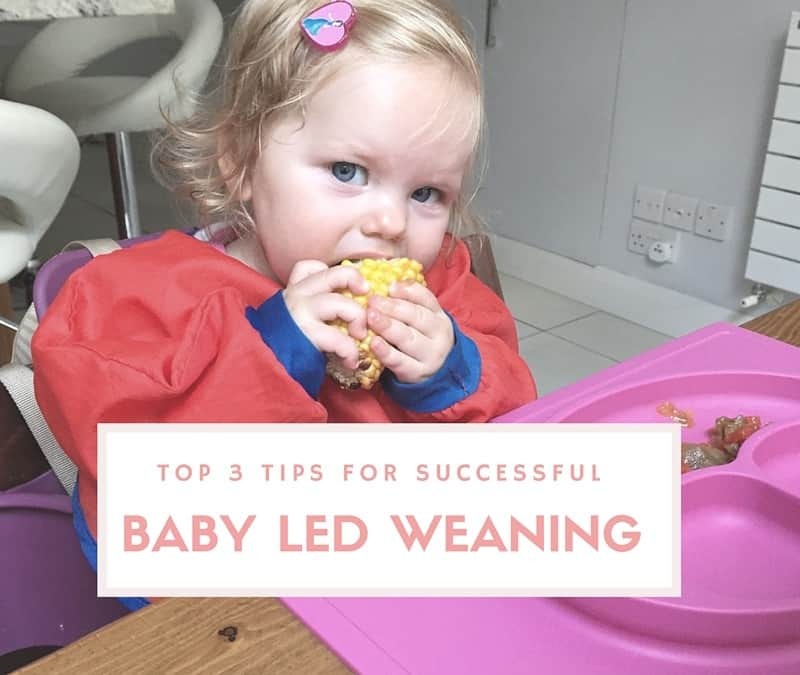 Last year I wrote about pros and cons of Baby Led Weaning and my experience using this approach with my third baby. 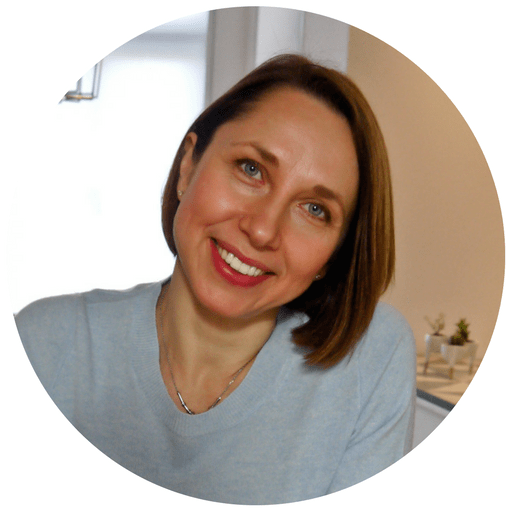 Since then, I have been interviewed for articles on BLW, wrote a few myself and taught many parents privately how to be successful using BLW approach. This post covers the most common topics I cover in my work with parents whether they are just considering BLW or need a solution for a problem they encountered on the way. 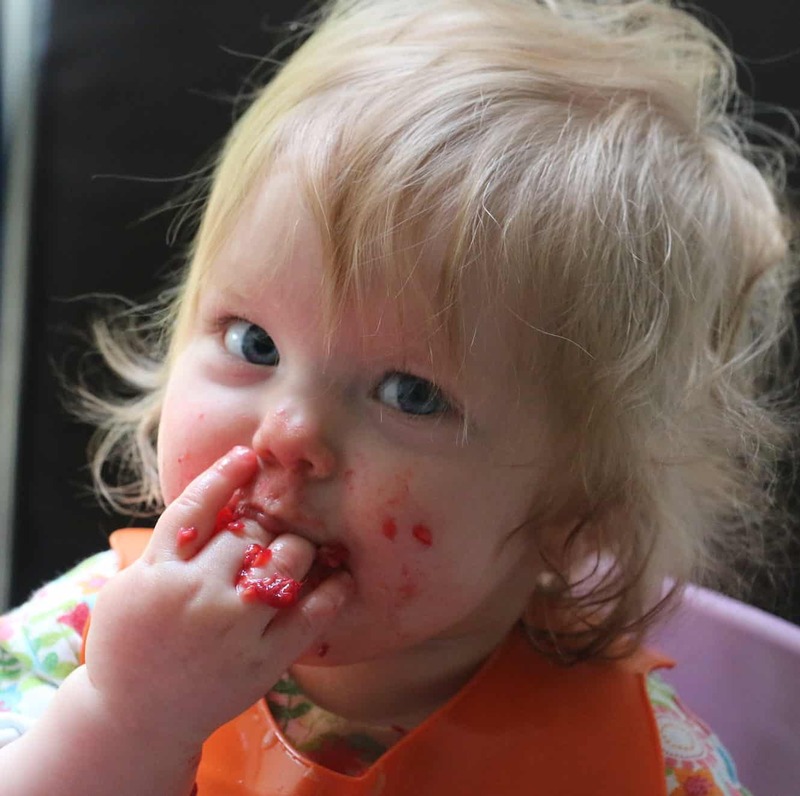 BLW Tip #1 – Do not fear The Spoon. “I am NEVER going to feed my baby with a spoon”- proclaim many parents embarking on a BLW journey. The traditional way to start solids by feeding a baby puree with a spoon can be viewed as something extremely detrimental to your baby’s development and eating habits. But the good news is that spoon feeding and BLW do not have to be mutually exclusive if done right. Besides, since many babies may not be ready to self-feed successfully at 6, 7 or even 8 months, feeding purees helps them transition to the more independent eating stage with no problem. The key to stress-free and responsive spoon feeding is ignoring the messes, allowing your baby to decide how much she is hungry for and waiting for readiness cues before you guide a spoon into her mouth. 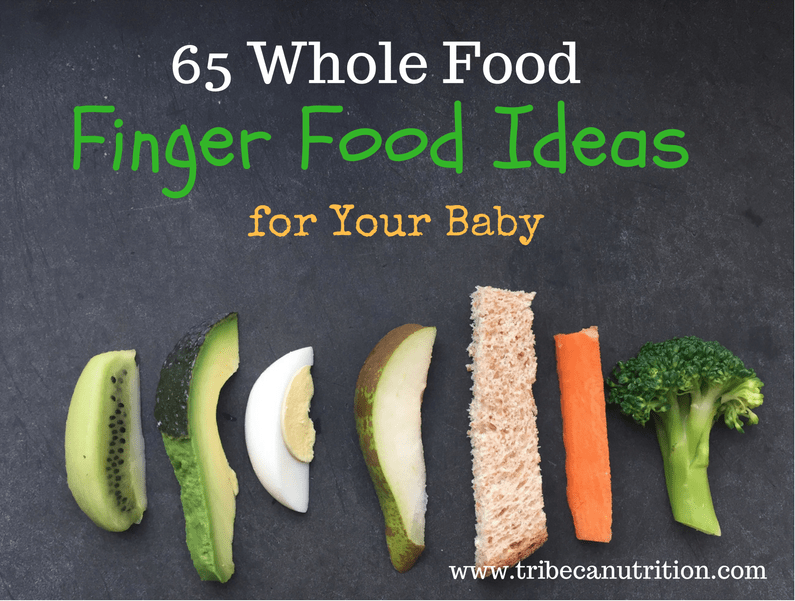 And do not forget to keep serving those finger foods from as early as six months so your baby has plenty of opportunities to practice self-feeding skills. BLW tip #2 – Avoid the Muffin Trap. This is an umbrella term for all the fritattas, patties, biscuits, cakes, nuggets and other complex culinary creations parents feel obligated to make for successful Baby Led Weaning. Although they all can be a great addition to a balanced diet, I have a problem with over-relying on them. You see, despite featuring wholesome ingredients like fruit, veggies and protein, they are not helping your child learn to like wholesome food in its authentic form. As a result, you may miss this window of opportunity when he is most responsive to new flavors. And unless you happy to subsist on finger foods yourself, patties and cakes are not helping your baby learn to eat what you enjoy. Believe me, babies can learn to love spinach without its flavor masked by egg, cheese and flour in yet another “healthy” muffin. Besides, if you are using these finger foods as a medium for “sneaking” veggies you are setting yourself and your child down a very frustrating path where vegetables need to be disguised in something cheesy, egg-y or flour-y in order to be consumed. Finally, I can only imagine the frustration a parent feels when their precious bundle says “No” to yet another carrot nugget and they are stuck with a freezer full of labor-intensive elaborate finger foods. What to do instead. Focus on serving minimally altered wholesome foods with the maximum of unmasked flavor. The fewer special recipes for your baby you use, the easier will be the transition to family foods. Think baked or steamed carrots instead of carrot muffins, wilted spinach with a drop of olive oil instead of spinach cake and roasted broccoli instead of broccoli biscuits (yes, it IS a thing). Get more ideas for easy finger foods here and here. Not only it is less work but it will make it easier for your baby to partake in family meals and learn to enjoy more variety of real foods. BLW tip #3 – Be ready for the Fussy Toddler Stretch. Yes, it is likely to happen even if your BLW baby’s favorite foods are kale and kumquats right now. Somewhere between 1 and 3 most kids turn into choosy toddlers who seem to survive on air and a couple of crackers. I wrote recently about the big changes in my 18-month-old’s eating habits that happened despite the fact that she used to be the most adventurous BLW baby on the block. Many parents enter this stage completely unprepared for the crazy shifts in appetite, newfound hate for everything green and loud demands for snacks. Suddenly everything you have been doing before is not working and all the nutritious meals get rejected. At this point it is very easy for a tired and worried parent to fall into a mealtime pressure trap or, another extreme, give the toddler whatever and whenever they want, in order to avoid mealtime battles. 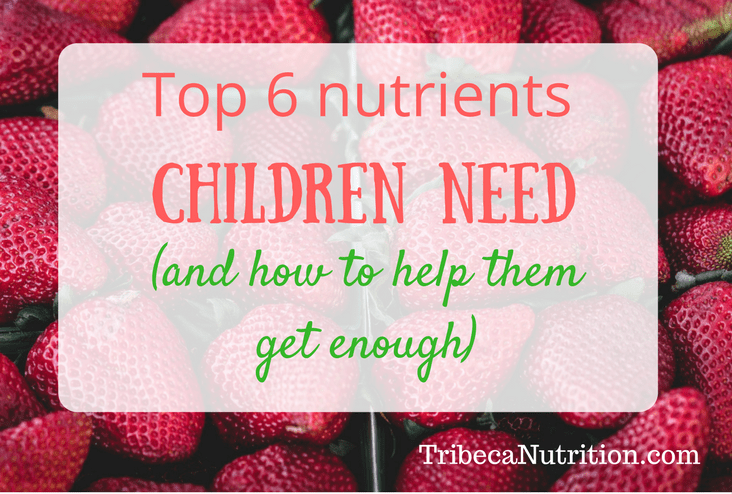 Have a solid feeding strategy you can rely on in this stormy spell of toddler years. Think authoritative instead of authoritarian or permissive. Establish meal and snack time boundaries and allow your child to choose how much and what he wants to eat from what you offer. Limit grazing, even on milk and “healthy” foods. Even a few grapes and a cube of cheese half an hour before dinner can leave your little one with no appetite for the meal. Instead, schedule 3 meals and 2-3 snacks and stick to the schedule as much as you can. Serve the filling milk at snack- and mealtime, not as an in-between drink. Keep meals oriented toward grown-up tastes but be considerate of your child’s preferences and abilities. For example, if you are serving a steak that may be too tricky to handle for your toddler, include a starch and vegetables he likes. Or if he is not quite a fan of quinoa yet, serve it alongside his favorite sausage and fruit. Finally, whether using BLW, spoon approach or both, make sure to follow the baby’s lead and eat together whenever possible. Prioritize bonding and quality time at mealtime over the number of bites and you will avoid mealtime stress and have a better chance at raising a happy and healthy eater.